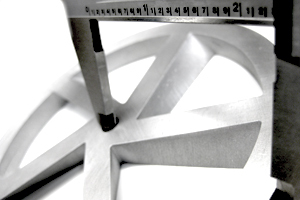 KEMCO Industries' Waterjet service provides cost efficient, high-precision cutting of virtually any material type and thickness. 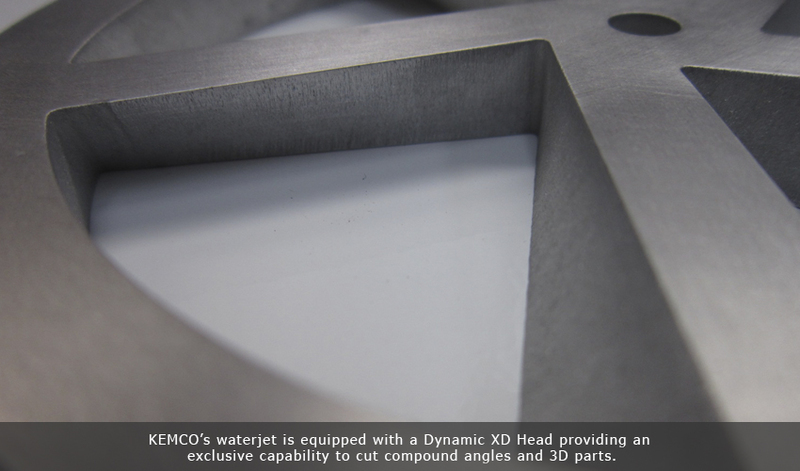 KEMCO's MACH 3 from Flow is fully equipped with a Dynamic XD Head, a HYPERJET 94,000 psi pump and one of the largest beds offered from Flow for the MACH 3 with an effective cutting area of 13 ft x 6.5 ft.
Providing superior capabilities when compared to other heads, KEMCO's Dynamic XD Head gives KEMCO an exclusive edge in waterjet PRODUCTION OF 3D PARTS. 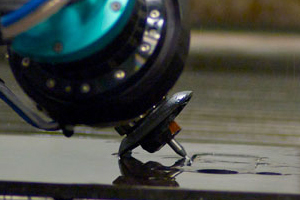 The Dynamic XD Head allows for 5-axis rotation and up to 60 degrees of motion. 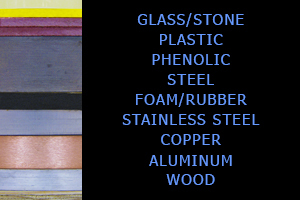 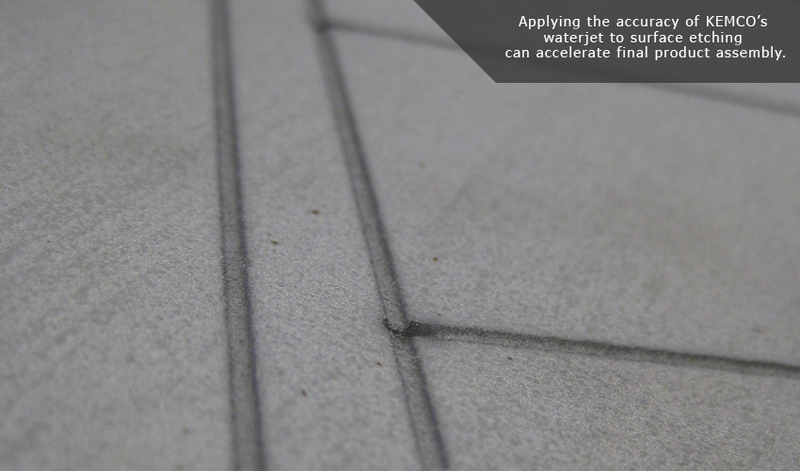 Capable of both Pure Waterjet and Abrasive Waterjet, KEMCO's Waterjet Service has the versatility to CUT VIRTUALLY ANY TYPE OF MATERIAL from soft foams and plastics to hard metals, glass and stones. 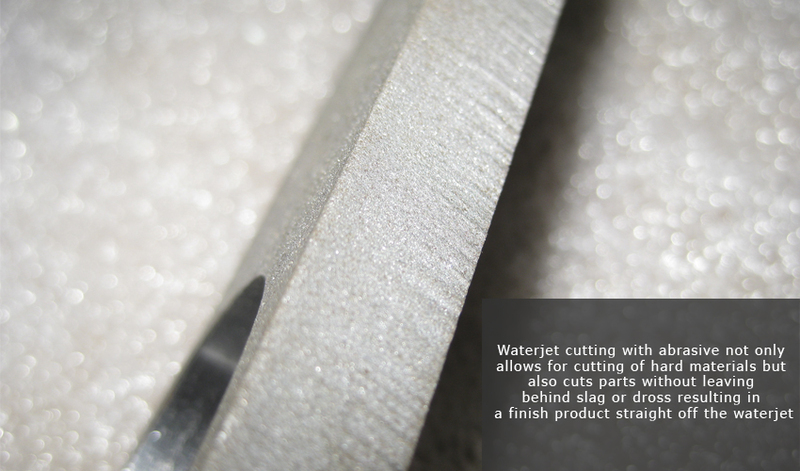 Waterjet cutting provides increased part accuracy when compared to other forms of cutting while maintaining clean and smooth cut edges. 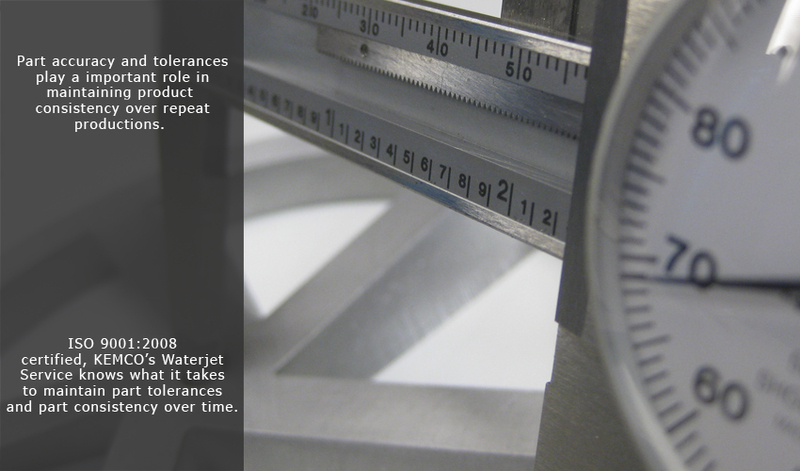 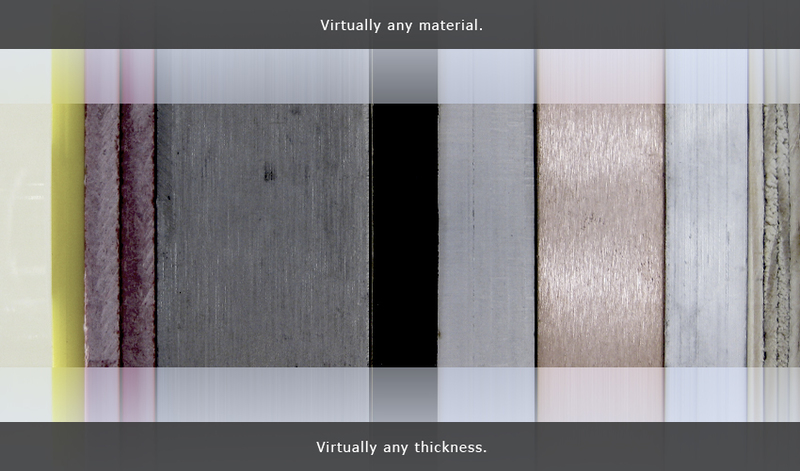 Capable of producing parts ACCURATE UP TO 0.001", KEMCO's Waterjet Service is the clear choice to meet the tolerance requirements	of most parts.